Preschool Playbook: Father's Day is on the Way! We don't get a chance to do Father's Day celebrations at our school because are not in session, but I have a beautiful poem to share with you. Put the poem on a piece of construction paper, add the child's footprint with paint or ink, then let them sign it. This poem always bring tears to my eyes. 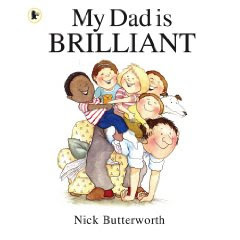 "My Dad is Brilliant!," by Nick Butterworth tells all the wonderful fun a child has with dad. "What Daddies do Best," by Laura Numeroff, illustrated by Lynn Munsinger was first mentioned on my Mother's Day book site. This is a flip type style book. 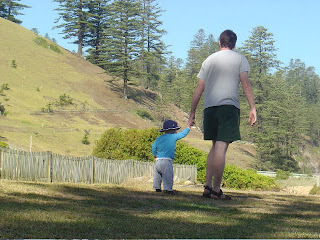 One side is what daddies do best, and the other side is what mommies do best. Both sides have the same text, but different pictures. Very enjoyable. 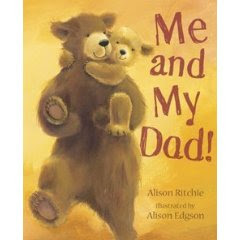 An adorable Father's Day book is "Me and My Dad!," by Alison Ritchie, illustrated by Alison Edgson. This book about a bear cub and his dad. The story follows the pair through all types of fun activities. The rhyming text is fun to listen too. Very cute. 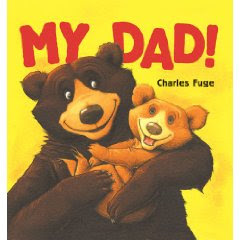 "My Dad!," by Charles Fuge is also another really cute book. It doesn't have a lot of text, but the pictures and theme are just so enjoyable. Fun to read with little children. Finally, you can't have a special day without a book by Mercer Mayer. 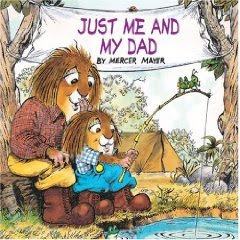 "Just Me and My Dad," follows Little Critter and his Dad on a fun camping adventure. Lovely book. Finally, I was lucky enough to find a couple of Father's Day songs in my Piggyback book. What a grand day it is. Honor him with special You. How we love you true! We love you-yes we do! Hurry up and come home. Can I copy these Fathers Day Poems and place in my website. What to write for the authors names? which says the author is unknown. This is awesome! I will look for these books at the library! Thanks!